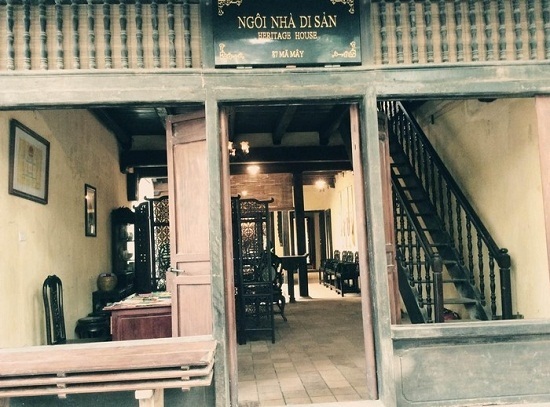 Today, the ancient house is open for tourists to come here and see howancient Hanoian lived, enjoy as well as buy some Vietnamese traditional decoration items, souvenir. The temple is located on Hoan Kiem Lake. Coming here, visitors will have chance to know more about Hanoi history especially origin of the name "Hoan Kiem" (Lake of the Returned Sword). 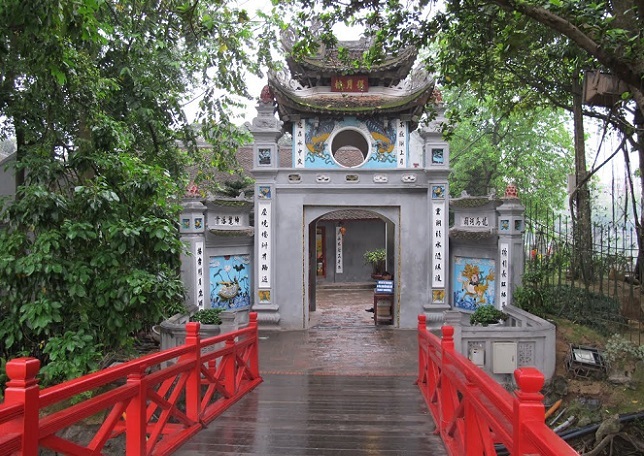 To enter Ngoc Son temple, you have to cross a beautiful bridge named The Huc where Turtle Tower as well as overview of Hoan Kiem Lake are easily seen from the bridge. Located in the heart of Hanoi, the lake is acknowledged as a historic and cultural relic. It is like a large mirror reflecting the scenery and color of the sky. At sunrise, the sunshine spreads, producing a layer of marvelously brilliant golden rays dancing on the green water. The lake has also produced one of Vietnam's most influential legends. Story has it that a largest soft-shelled turtle in the world - an unknown species - lives in the lake. Beside Hoan Kiem lake are impressive architectural projects and valuable heritages such as Pen Tower, Ink Slab, The Huc Bridge, Ngoc Son Temple and so on. Bach Ma is an ancient temple which is related to the legend of building Thang Long imperial city. 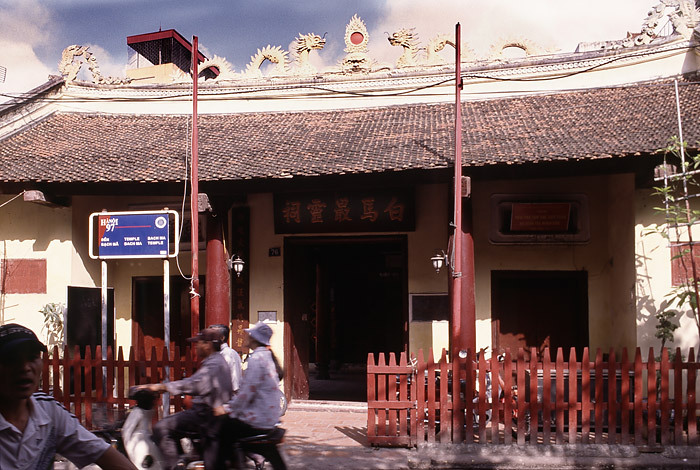 This is also one of four market towns in the past: Bach Ma temple is in the East, Voi Phuc temple in the west, KimLien temple in the south and Quan Thanh temple in the north. Dong Xuan Market is a market in the center of Hoan Kiem district. Originally built by the French administration in 1889, it has been renovated several times with the latest in 1994 after a fire which almost destroyed the market. 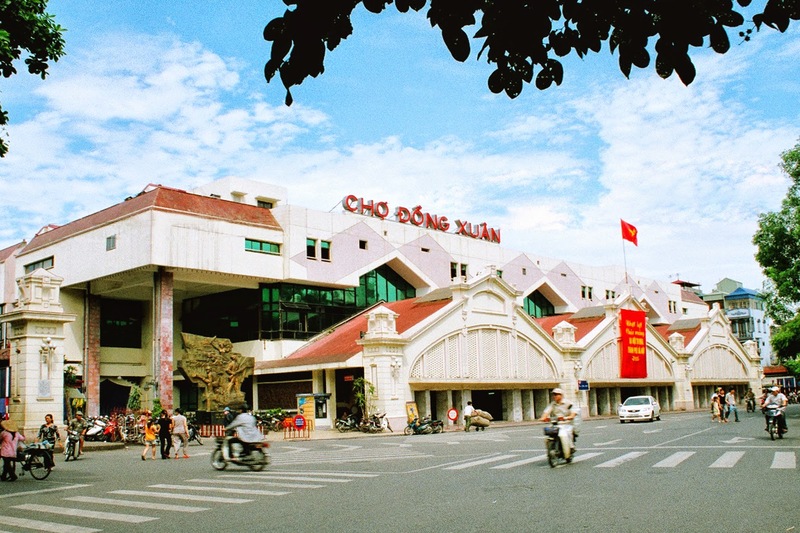 Nowadays, the market is the largest covered market of Hanoi where the wholesale traders sell everything from clothes, household goods to foodstuffs. Other address for ejoy Hanoi cuisine are bún chả Hàng Buồm (noodle with grilled pork in Hang Buom), beer in Luong Ngoc Quyen, boiled snails in Dinh Liet street, Hong Lam salted dry fruit in Hang Duong, etc.